Stacey Rourke is an author that I just discovered earlier this year, but I have already read nearly all of her works. I really enjoy her books. And guess what? She's a super awesome lady as well! I've had the chance to talk to her a bit through facebook and twitter chat. Being able to talk to the author of a book series that you love is a serious fangirl experience, and I loved every minute of it. The Gyrphon Series has, as of right now, 3 full-length books and 2 novellas. Amazon is running a deal right now and you can get them all for super cheap. 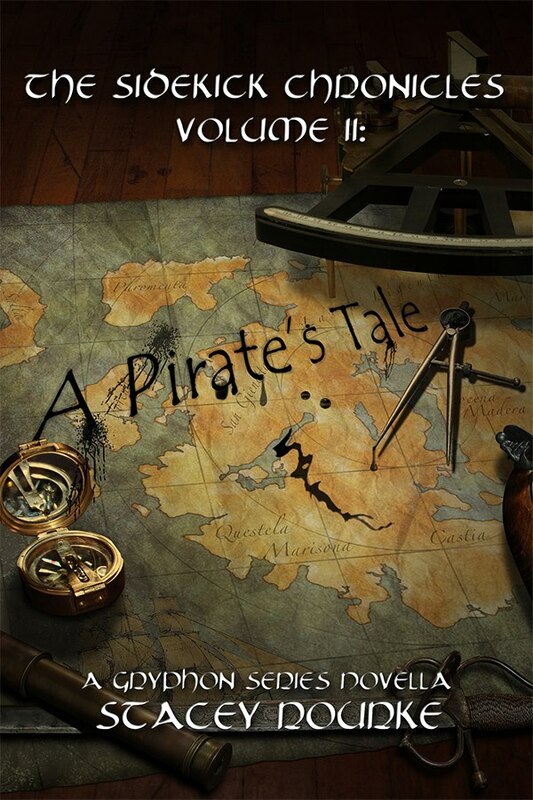 A Pirate's Tale is a novella set in between Sacrifice and the next book that Rourke is currently working on within the series. I don't want to give away too much about the story, since I know that most of the people who read my blog haven't read the books yet. Celeste, along with her brother and sister, are charged to help save the world from impending doom. Each book has different challenges that they each must face, while learning to harness and grow their powers. I will say that the ending of Sacrifice is rather heart-wrenching, and I was left wanting the next portion of the story now. A Pirate's Tale kept me happy...until I was done reading it. 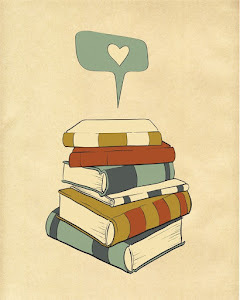 And then I went back to sulking for more to read. While Rowan exists in the books, we don't really know that much about him. One minute you want to punch him in the face and the next he's being a really nice guy, er, pirate. In this latest novella, the story is all about Rowan, and we as the reader finally get a glimpse into his past. And guess what? He has a reason to be a sometimes-jerk. Poor guy! I think that out of all the main players in the series, Rowan is probably my favorite. Well, aside from the gnome in Sacrifice! Fun fact: Rourke is frightened of gnomes. I, on the other hand, love them! I want my yard to be littered with lawn gnomes! Rowan is looking out for himself before anyone else, and yet he still manages to be charming while drinking large amounts of rum. 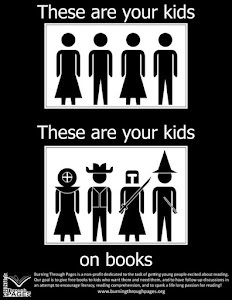 Don't be off-put by the YA categorizing of these books. They are funny and thoughtful, and can and should be enjoyed by adults, too! I enjoyed reading A Pirate's Tale and am pumped for the next book! If you've read The Gryphon Series, pick up this story for 99 cents. And if you're new to the series, go ahead and download them all while they are on sale!